Haitoglou enhances its automated tahini and sesame seed production line from start to finish with industrial screening, grading and filtration equipment. Haitoglou Bros SA is a global leader in the manufacture of sesame seed products, including tahini paste. The company processes up to 150 tonnes of sesame seeds a day at its modern production facilities in Thessaloniki, Greece, and supplies its premium range of products to a global network of customers. The company has built a long-term relationship with industrial separation equipment specialists Russell Finex, in a continued effort to automate and optimize its production line. This state-of-the-art automated production line for sesame products at Haitoglou incorporates a range of hygienic and high-capacity separation equipment for the food industry. Haitoglou first installed Russell Finex equipment in 2002, with the addition of the Finex Separator™, which doubled the capacity of previous machines and optimized the separation of good sesame seeds from soft peels, broken seeds and dust. This allowed the company to reach its desired capacities of up to 2 tonnes an hour. Additional vibrating separator units were added to increase automation at a further stage in the production line, before Haitoglou explored more separation solutions to optimize other areas of production. 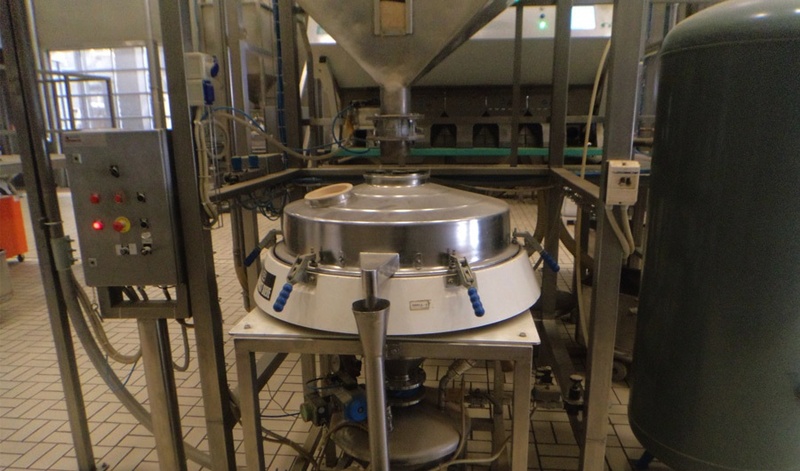 Two Russell Compact Sieve® units were installed at the washing stage, to recover sesame seeds from the cavities of the washing equipment when flushed out. 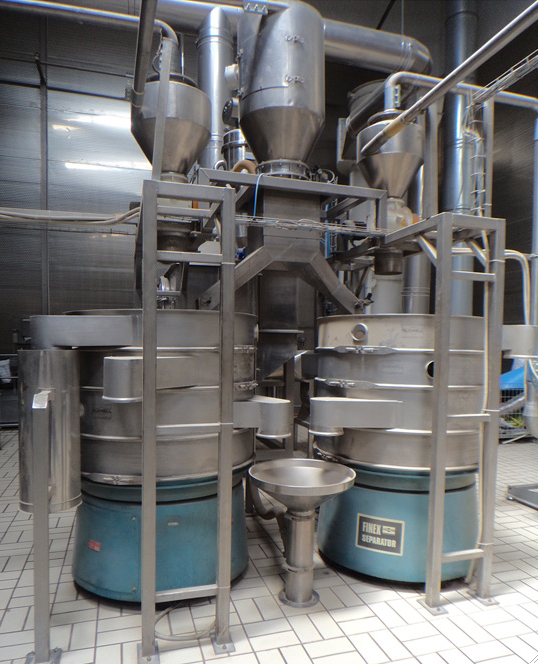 Following the success of these, four further Russell Compact Sieve® units were installed before the packing stage of production. These high-performance vibratory screeners guarantee the quality and consistency of the sesame seeds, eradicating oversize clusters of product and eliminating blockages in pneumatic tube transport systems. To safeguard the quality of tahini paste, a Self-Cleaning Russell Eco Filter® was installed to ensure a contamination-free, smooth final product. 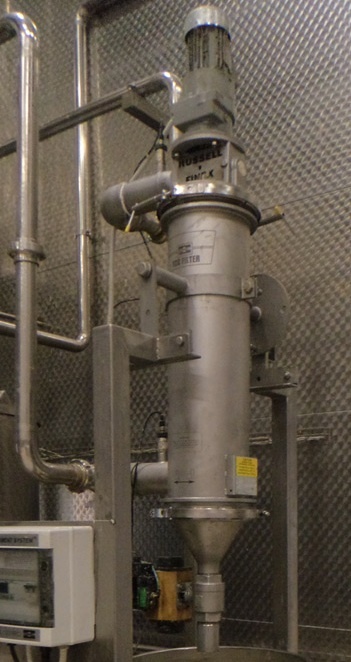 This automated inline filter for liquids was easy to install in the existing production line, providing totally enclosed filtration with minimal downtime. Furthermore, a final quality-check was installed at the very end of the tahini production line, with the addition of a unique high-speed Russell Compact Sieve®. This custom-built check-screener was designed for the specific properties of tahini paste, to absolutely guarantee the consistency of product before packaging. Great to see that more companies are taking the steps necessary to protect consumer’s safety. Automating processing of food is important, but making sure these processes are safe and leave the food safe to eat is important as well.